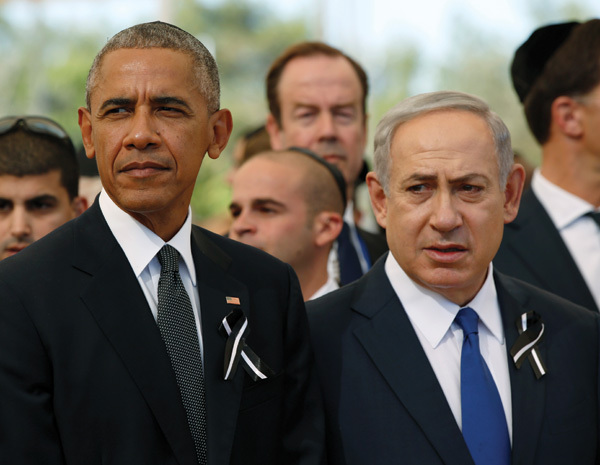 Rather than working together to patch things up, President Barack Obama and Israeli Prime Minister Benjamin Netanyahu’s professional relationship ended the same way it began: badly. The column I wrote at the close of 2015 catalogued the troubling events that had transpired over the previous 12 months, including the terror attacks in Paris, the outbreak of the “knifing” intifada in Israel, and the bitter debate over the Iran nuclear deal. The piece ended with the hope for a brighter, more peaceful year to come. Well, 2016 has come and gone, and my wish for better news is now extended to next year. What strikes me in reviewing the most memorable events of the past year is that whatever elements hold us together as a nation, a society, and as a Jewish people, appear to be unraveling at an alarming pace, and we need to reverse the trend. Along the way I learned some important and often humbling lessons. Lesson No. 1: I didn’t understand half of America. The brutal and seemingly endless presidential campaign dominated the news from the first day of 2016. The race to the White House, and its outcome, underscored that the rules of the game of national politics are no longer in play. Crude language, personal insults; bullying of opponents; demeaning of women, minorities, and people with disabilities; and a pattern of consistent lying didn’t disqualify Donald Trump from the Republican nomination or, ultimately, from election as president. It was chastening to learn that Hillary Clinton’s strategy in focusing on the faults of her opponent was not enough to gain her the electoral votes to win. In hindsight, she didn’t make a sufficiently credible case as to how she would bring change to a nation where so many people felt down, neglected, and unheard. Those people wanted dramatic change enough to take a chance on a maverick whose very “outsider” qualities, and brash and brassy style, inspired rather than repulsed them. Now those of us who got it wrong need to dig deeper in understanding half the country we thought we knew. Lesson No. 2: President Barack Obama has a ‘real Israel’ problem. By that I mean a problem with the real Israel of today, not some mythical land of idealistic Super Jews who can create a dynamic democracy and protect themselves against hostile neighbors while readily conceding land and security to those who seek their demise. The White House decision this past week to abstain on a biased United Nations resolution against Israeli settlements was a fitting coda to the president’s eight-year effort to change Israeli policy on the West Bank. With no follow-up plan in sight, the decision to abandon Israel to what former U.S. ambassador to the UN Jeanne Kirkpatrick called “the jackals” at Turtle Bay appears to be a parting act of vengeance by Obama against his nemesis, Israeli Prime Minister Netanyahu. Obama was a strong supporter of Israel’s security, but his political vision of the Jewish state was more aspirational than realistic. He consistently put the onus on Jerusalem for the lack of progress on peace, giving the Palestinians a pass. And now the Palestinian Authority will feel encouraged in its efforts to achieve statehood by avoiding rather than engaging Israel in direct negotiations, which has always been the backbone of U.S. policy for Mideast peace. The result of the resolution is far dimmer prospects for that peace, and that is more than a shame. Lesson No. 3: Prime Minister Netanyahu’s priority is staying in power. 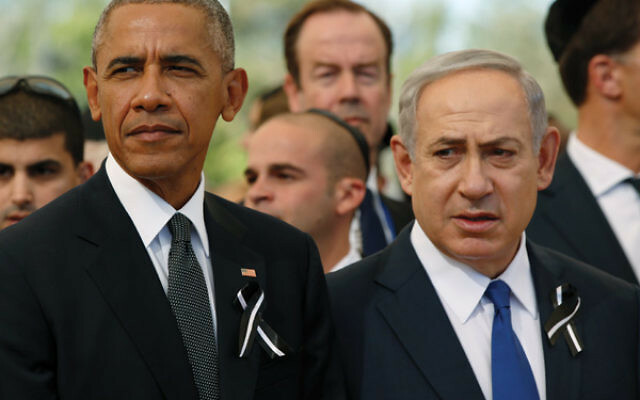 However upsetting President Obama’s decision to allow the UN resolution to pass, the Israeli leader made it difficult for the White House to come to his rescue. This latest clash underscored how, unfortunately, Obama and Netanyahu let their personal vendetta harm their national interests. The prime minister’s commitment to a two-state solution seems to wax and wane, depending on the circumstances, and his support for Jewish settlements in the West Bank has grown more vocal of late. Netanyahu has never squared the circle of how he could advocate for a two-state solution while increasing settlements on the land in question. Now, in the wake of the UN resolution, he is doubling down on his commitment to expand the settlements, defying the United States and the international community. The result is a prime minister who appears more worried about Naftali Bennett, the political rival on his right most likely to challenge him in a future election, than the wrath of the White House and world leaders and the disappointment of many Jews around the world. Lesson No. 4: Anti-Semitism is on the rise, and not just in Europe. We have been painfully aware for some time now of the sharp increase of anti-Semitism in European countries, much of which has morphed into anti-Israel rhetoric and acts of violence. The political rise of right-wing parties and authoritarian figures does not bode well for European Jewry, which is growing smaller and deeply worried about the future. The presidential election in the United States brought out a shrill and nasty strain of anti-Semitism, much of it on social media and directed at Jewish journalists. It seemed to be goaded by the success of the Trump campaign and its “America First” ideology, and the nature of its joyfully anti-political correctness. Whether or not it will recede when Trump takes office, this form of prejudice has been a painful reminder that America is not immune from assaults on its democratic character and emphasis on equality. Vigilance is never out of season. Lesson No. 5: We cannot let our personal biases ossify. This year was a traumatic one for many of us. We witnessed the ongoing suffering of the innocent civilians of Syria and came to understand that, tragically, “Never Again” is more slogan than policy. We saw Israeli lawmakers backtrack on their commitment to create an egalitarian prayer space at the Western Wall and call for the arrest of women wearing a tallit at the site. We saw in the presidential election a deepening divide between Red and Blue, as well as a more precipitous decrease in civility among neighbors and, specifically, within a Jewish community already moving toward polar opposites in terms of political views and religious observance. With it all, a reset in our outlook may be a healthy step, at least for me, as we approach the new year. Hope is what drives us forward. The drama surrounding the UN Security Council vote last week prompted a shift in my attitudes toward President Obama and President-elect Trump and their approach to Israel. I lost a degree of respect for the former and appreciated the response of the latter. That shook me up, I admit, but I want to be open to change in people, circumstances, ideas, and points of view, and not let my beliefs ossify. In the spirit of Hanukka, here’s hoping 2017 will be a year that brings renewal to Jewish life and light to the darkness around us.